A NEW Zealand soldier faces a court martial, accused of planting explosive devices in Afghanistan. The soldier is a member of the ill-fated Crib 20 deployment, which lost five members and was engaged in New Zealand's biggest firefight since the Vietnam War. The surviving soldiers returned to heroes' welcomes, but that has been tainted by a subsequent military police inquiry. The Herald on Sunday has reported concerns about Crib 20's leadership in the Battle of Baghak, in an exclusive interview with a corporal injured by friendly fire. Now, after an ongoing investigation by the newspaper, the Defence Force has revealed a soldier has been charged with putting in place an explosive with reckless disregard for safety of others. The soldier was charged under the Crimes Act, with an offence that carries a maximum prison term of five years. He has also been charged with an alternative, less serious, charge of negligence under the Armed Forces Defence Act. The Defence Force refused to name the soldier before the first court appearance, saying that could "prejudice the maintenance of the law". A spokeswoman for the Defence Force said the investigation was ongoing and further charges could follow against other soldiers. "Preliminary enquiries under the Armed Forces Discipline Act continue. Any decision as to whether an allegation is well-founded is for the commanding officer. "No date for any trial has yet been set. The investigation has taken the time it has, to enable due process to be followed," she said. In June, the Herald on Sunday revealed that military police had launched an investigation into allegations of criminal wrongdoing during the deployment. The company suffered the worst loss of life in several decades of armed conflict by New Zealand forces. Lance Corporals Rory Malone and Pralli Durrer were killed during a chaotic 12-minute firefight on August 4, last year. Corporal Peter Page and another soldier were hit by friendly fire after Kiwi troops were called into the treacherous Baghak Valley to support members of the Afghan secret police, who had come under attack from enemy insurgents. On August 19, Corporals Luke Tamatea, Jacinda Baker and Private Richard Harris died when an improvised explosive device destroyed their vehicle. The soldiers' "courage and professionalism" was praised in Court of Inquiry findings, but a military police investigation was progressively widened to include the conduct of leaders and soldiers in the Baghak clash, as well as the leak of unedited video footage of the firefight and of a prisoner being escorted at gunpoint to an American Blackhawk helicopter. The publication of a book written by Major Craig Wilson, who led Crib 20, has been delayed after the Defence Force withheld permission for its publication. 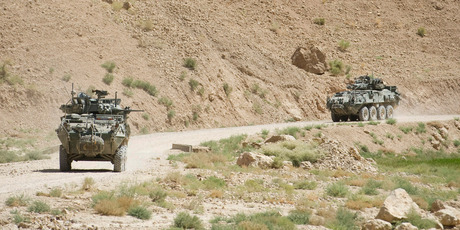 Wilson was given access to witnesses during the investigation to research his book Bravo Kiwi , which covered the lead-up to Afghanistan, the Battle of Baghak and its aftermath. The book had been due for release in October, but the Defence Force confirmed this week it had not approved the release of the book. The book is unlikely to be released until after disciplinary proceedings are completed.